Product #60520 | SKU GR-V01-BAP | 0.0 (no ratings yet) Thanks for your rating! 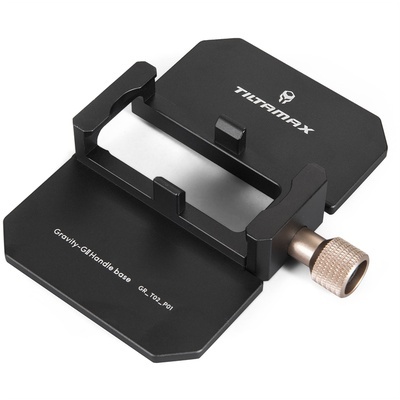 This Tilta Balancing Baseplate for Gravity G Series attaches to the bottom of the Gravity G1/G2/G2X battery pistol grip to allow you to place the gimbal on a surface to easily balance your setup. You can then operate the gimbal with the balancing plate attached without any problems, and then set it down on any flat surface when in between set ups.